Robocraft Royale is the latest game from indie hit developer Freejam. Priced at $14.99, £10.99 and €14.99 this new standalone PC game launches on Steam Early Access today. Robocraft Royale is Transformers meets Fortnite, and puts Abe Lincoln in a go-kart. Using all manner of different character-bots, players battle to the last in a huge (64km2) map littered with pick-ups, mountain observatories, power stations, forests, crashed spaceships and numerous different building configurations. Robocraft Royale lovingly selects the the best crazy character-bots created over 5 years from the 13 million plus strong Robocraft community. Players hunt for the character-bot that best suits their style, navigate the hazards of this world, emerge victorious and claim their proverbial cheese and ham toastie. Each time a player deploys into the world they’ll find new creations to master and learn how best to manipulate the destruction of their enemies with Robocraft Royale’s bespoke damage mechanics. Will you cripple your foe by targeting a players movement parts or render them harmless by trying to degun them first? Bringing the creative expression and user generated content of Robocraft to the Royale genre. Continuing curating community built characters, leading to themed events around particular character types and styles. Bringing players greater customisation from control styles to cosmetic. Updating the map will with changing complexities that players must navigate to survive. Allowing players to party up in team modes and take each other on. Implementing spectator modes and kill cameras so that every angle of the action can be enjoyed. 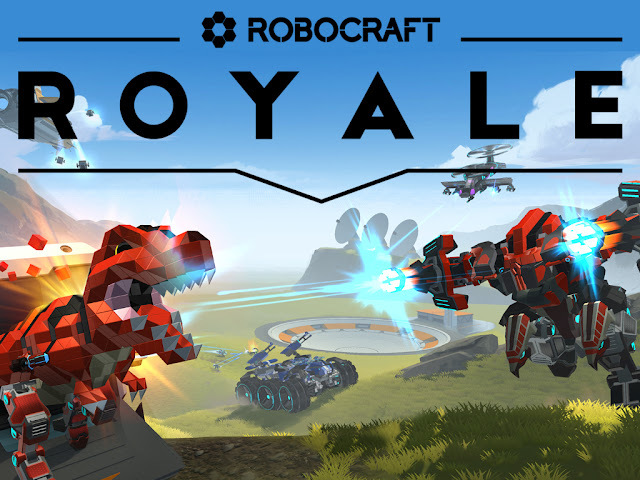 Robocraft Royale is available on the Steam store right now. For more information, please refer to the game's official website here.